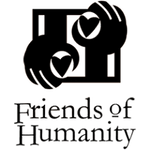 Friends of Humanity held a board meeting this past weekend to review the status of ongoing projects at House of Hope and Beraca Medical Center. President Renel Noel reported on the Sanitation Project and other matters. To date, the septic tank has been completed. This was done at a cost of $8,000 and involved many hours of hand-digging the trench as powered equipment is not available. Construction in Haiti can be difficult because all materials have to be shipped in at great expense. We will now begin to install the toilets. This is a huge improvement as no indoor toilets are available at the Medical Center for the patients, creating sanitation issues. The cost per toilet installation is $3,000 to $5,000… again, due to the difficulty of bringing in construction materials. We will be traveling to Haiti on December 27, 2016 to begin laying the pipe. All work is done by volunteers, who are now being assembled by Renel. We are grateful for the support of the Rotary Club of Miami Shores and Great Health Works, which each donated $500 to support our Sanitation Project. We are also grateful to Judge George Wilson. Ms. Madana, and Officer Keith of the Miami Shores Police Department for their generosity. The laundry at Beraca Medical Center will benefit greatly from the donation of commercial washers and dryers provided by a laundromat owner. Before, laundry for the hospital and orphanage was done by hand. We are looking for a sponsor to underwrite the re-printing of our fundraising brochure. The good news is that we have sent out many of these brochures. The bad news is that we only have a handful of remaining copies. We are also looking for new board members. If you have an interest in making a difference in northwest Haiti, and in helping the children of House of Hope orphanage, we welcome your participation. Finally, we note with sadness the passing of Mr. Morris Broad, who donated generously to Friends of Humanity Corp. through the Broad Foundation. Our sympathies are with his family.